We lose a lot when we remove this week’s saying from its context and either read it in a vacuum or read it in our modern context. Jesus doesn’t use pie-in-the-sky promises of success to gain a following toward his form of resistance. Sparrows die. But they are valuable and so are we. Jesus reminds his followers not to remain passive but to remember how valuable they are. He affirms their worth, hopes to foster self-affirmation, and encourages them to value courage to stand up for themselves or for others who are being abused. It is a fearful thing to resist and stand up to one’s oppressors. It can be even more terrifying to do so while commited to doing so nonviolently. Sparrows were of the lowest value in the market place, and yet Jesus’ God cared even about them. 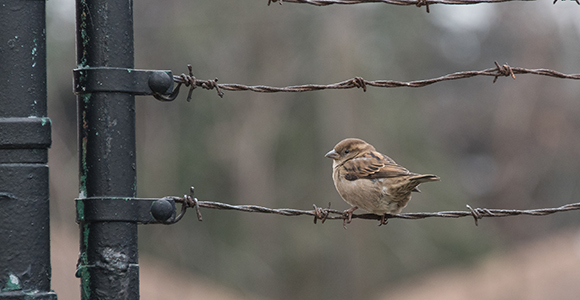 And if the sparrows were cared about, how much more were the people Jesus taught? Every hair of their head was accounted for. History does tell us that the people chose a more violent form of resistance and Rome’s backlash was merciless. But we are not at that part of the story yet. In this saying, Jesus is seeking to win his followers to nonviolent direct action. Standing up is worth it. Stand up, and don’t remain silent. You are valuable, you are worth standing up for. Some teach that Jesus’ nonviolence is characterized by passive self-denial or self-sacrifice. But this is not true when one considers the tactics of cheek defiance, naked shaming, and refusal to play by the oppressor’s rules (see https://renewedheartministries.com/Esights/02-19-2016). Jesus’ nonviolence is a way for those on the underside of a society to stand up and affirm their selves, selves that are already being denied by their oppressors. It is self-affirming resistance to violence. It is standing up and refusing to let go of one’s hold on life, even if one is threatened with a cross for taking that stand. Jesus’ reference to the ravens here and elsewhere, his reference to lilies and grass, his illustrations of considering the indiscriminate sunshine and rainfall all bring to mind James Robinson’s claim for a the literacy rates of first century social prophets of which Jesus would have been a part of. “Practically no Galilean Aramaic of the first century has survived in writing, no doubt in large part because the native population was for all practical purposes illiterate. 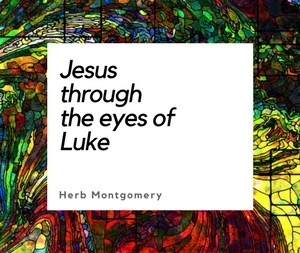 Robinson goes on to suggest that Luke’s literate Jesus (e.g. Luke 4) emerged when the church itself ceased to be full of the poor and illiterate, and became populated by a more literate population. The writing down of the gospels was not even possible for the illiterate early followers. Whether Jesus could read or not, it is quite evident that his followers could not and were deeply dependent on the oral tradition. This explains why Jesus often referred to what we witness in nature as evidence of his teachings rather than using only literary passages from the Torah or other sacred writings as proof. Today, everything taught in Christianity is compared to what’s in a book, the Bible. But this was not an option for Jesus when his followers (and possibly Jesus as well) could not read. Jesus called upon his followers to look around at nature and consider the evidence before their eyes. Here was a God who caused the sun to shine on the just and the unjust, the rain to fall on the good and the evil. His teachings are rooted in oral stories with most characters being the same class as most of his audience: poor working class. Jesus didn’t refer them to a book, he called them to consider the evidence they could observe. This is similar to today’s scientific method of deriving conclusions from what one witnesses. Jesus took note of what he saw in nature, and discerned a picture of YHWH not exclusively based on a book of writings that he had heard in the synagogue, but also deeply informed by the evidence of the natural world. In our last eSight I shared a lengthy portion of Walter Wink’s book Jesus and Nonviolence. This week I want to share just a few more gems for your contemplation. Remember what we read last week, and stop to consider how valuable you are. You are worth standing up for. You are valuable. What difference does it make to interpret Jesus’ nonviolence as self-denial for those on the underside of society or self-affirmation? What damage does the message of self-denial do for those whose self is already being denied by those subjugating them? What difference does it make to define Jesus nonviolence as militant, nonviolent resistance rather than as passive nonresistance? Discuss these differences with your group. What difference does it make to define Jesus’s teachings as the way of life that might inspire being threatened with a cross, and defining Jesus’ teachings as a way of death that uses a cross as a path to life? What difference does this make for victims, especially victims of interpersonal relational violence or domestic violence? I’m so glad you checked in with us this week. There is a lot to consider in this week’s saying for sure. Keep living in love, and keep up your vigilant work of survival, resistance, liberation, restoration, and transformation, engaging the work of making our world a safe, compassionate, just home for us all.